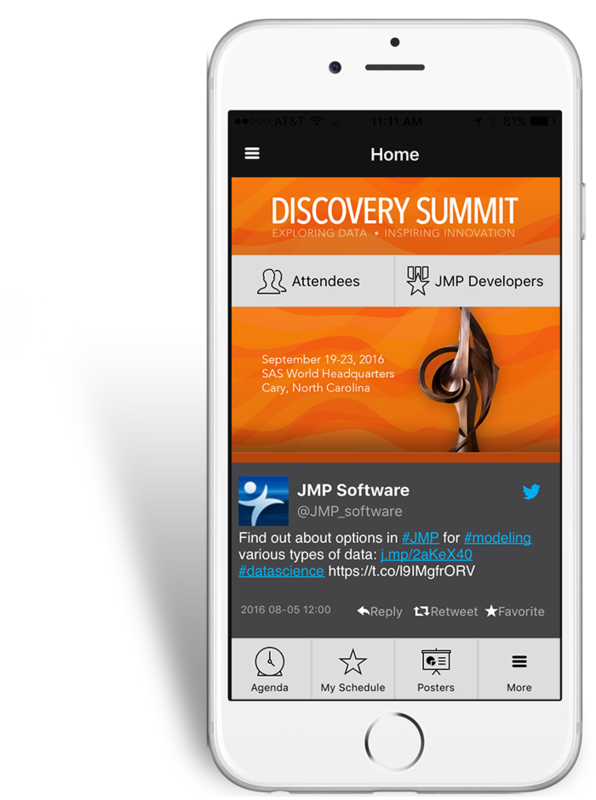 The JMP Discovery Summit mobile app lets you get the latest agenda, messages from the conference planner, speaker information, map and attendee list. Find sessions you are interested in, based on level and topic. Identify the JMP developer who can best answer your questions. Rate and comment on sessions. Ratings will be used to give best paper and poster awards. Earn badges toward a conference prize. Share photos and engage in discussions with other attendees -- within the app itself. 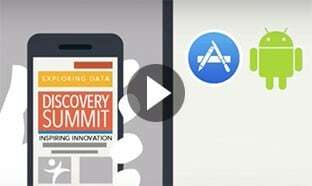 Learn more about the app features by watching this video. iPhone, iPad and iPod Touch users: Search “JMP Summit” on the Apple App Store or follow this link from your device. Android users: Search “JMP Summit” on the Google Play Store or follow this link from your device. Blackberry, Windows, computer browsers and others: Use your smartphones/laptops to visit jmp.com/mobileapp. Note: The app is password-protected. Once you launch the app, you will need to establish a password. Please use the email that you used to register for the conference for this process.